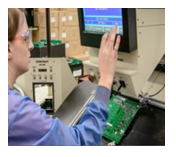 Our customers are not simply looking for an electronics manufacturing services (EMS) provider who can build their products, they are looking for an EMS provider who can solve their challenges. Issues such as the ability to ensure supply chain integrity while supporting legacy mission critical product, optimize complex test on products adding radio frequency (RF) communications technology, customize a support strategy when demand is hard to forecast or provide scalable support as volumes vary over the life of the product. At TeligentEMS, we regularly solve those challenges. To make it easier to understand the expertise, systems and processes we apply, we’ve created Solution Packages focused on the most common customer challenges we address. TeligentEMS provides strong support for the demanding requirements of our medical and military /aerospace customers. 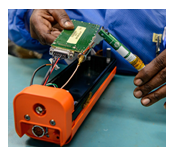 We have robust systems to support traceability and quality data collection and materials integrity, along with specialized mechanical assembly, coating and test capability. 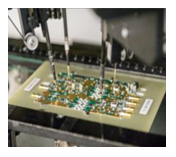 TeligentEMS has been a leader in RF technology-related manufacturing for more than 30 years. 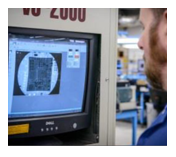 From supporting qualification testing through manufacturing complex assemblies and providing specialized functional testing, we have a solution. Two of the most challenging outsourcing scenarios are product families with many variations and product whose demand is difficult to forecast. At TeligentEMS our real-time TeligentEMS Purchase Order Tracking System (TPOTS) and Possible-X suite of production management tools, help us manage both of these scenarios with ease. One of the reasons TeligentEMS has customers who have been with us for over a decade is that we are truly able to provide scalable solutions from product development support through end-of-life support. We even have an offshore partner capable of providing support for high volume production best suited for manufacture in a low cost country.